Apple and Facebook, both trendsetters in their own right, have come up with another unique and novel concept for its employees. Both these companies will now offer its women employees to freeze their eggs, in addition to other regular facilities like free meals, on-site childcare and a gym membership. Apple will start covering egg freezing in January, following the lead of Facebook, which already offers it, according to NBC, which said these appear to be the first major employers to offer this coverage for non-medical reasons. 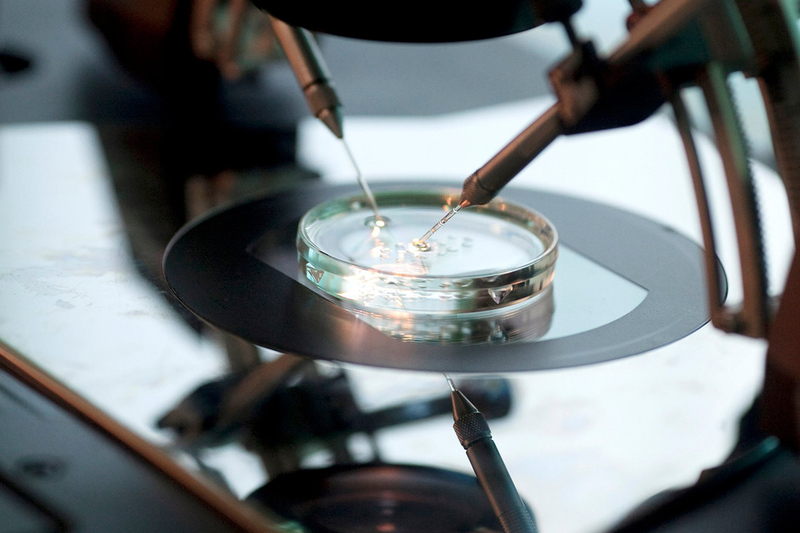 Oocyte cryopreservation, or egg freezing, is the process of extracting, freezing, and storing a woman’s eggs, to later be thawed, fertilized, and transferred to the uterus as embryos. The elective procedure—which the NYU Fertility Center suggests for women ages 21 to 43 who want to defer reproduction—is not cheap. According to NBC News, charges come to at least $10,000 per round, plus $500 or more annually for storage. Apple will cover costs under its fertility benefit, the news site said, while Facebook considers it a surrogacy benefit. Both will cover costs up to $20,000. The procedure, which was considered experimental until just two years ago, has a live birth success rate of less than 25% for women over 30. Still, for women interested in focusing on their careers during peak reproductive years, it’s a chance to defer childbirth until a more convenient time, while allowing them to take advantage of healthy eggs extracted during their youth. According to Wired, Silicon Valley has been experimenting with an array of benefits for women, with Facebook giving employees $4,000 in “baby cash” and Apple subsidizing up to $15,000 in fertility treatments. And it’s clear why. Both Apple and Facebook have less-than-ideal gender balances among their workforces: Out of Apple’s 98,000 global employees, 70% are male. That figure gets worse for leadership positions (72%) and technical positions (80%). The numbers look very much the same for Facebook: While 69% of its global employees are male, that figure jumps up for management (77%) and tech workers (85%). And there’s a reason why companies are offering egg freezing as a way to attract more female employees. According to a 2013 study published in the journal Fertility and Sterility, women in their 30s reported that the procedure made them feel “empowered,” allowing them to delay parenthood until they are ready. Nearly 1 in 5 women also said that they delayed having a child due to inflexibility in the workplace. Though egg freezing may be an attractive option for some, it doesn’t address other problems that women face at work, such as resources for child care and insufficient time for maternity leave. And critics believe that perks like this constitute a subtle form of pressure from companies: Since you’re getting such a great benefit from work, shouldn’t you just stay in the office instead of going off to pop out babies? “Facebook and Apple Offer Egg-Freezing Perk So Women Never Stop Working,” reads a headline by Valleywag, and the claim is not far-fetched for some. “Is the employer trying to tell us something? Agreed, working mothers have a lot to juggle. But you can’t let your employer force you into something that doesn’t fit your values or personal choices,” Kellye Sheehan of Women in Technology told USA Today. But whether you view this latest Silicon Valley move as a liberating gift to women or an underhanded effort to keep women tied to their desks, at the end of the day, it’s an option at women’s disposal. And any attempt at increasing women’s reproductive choices is a welcome one.